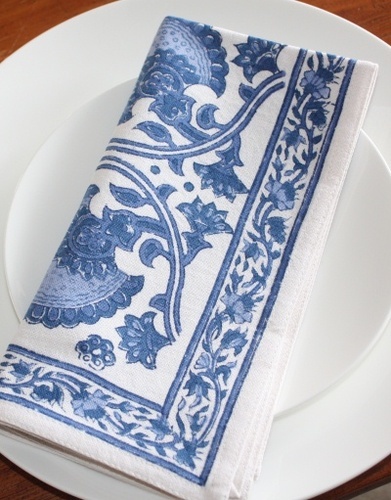 The beautiful blue and white napkins wll look beautiful for onay occassion. Hand block printed made from 100% cotton . Napkin 45 x 45cms.